The Hotel de Ville in Broc is a small family hotel providing simple but comfortable rooms that propose a TV set and free Wifi. This is an excellent location to visit the nearby Gruyère, the local Cailler Chocolate factory or the thermal baths of Charmey. Hiking is possible straight from the hotel towards the nearby Fribourg Prealps. 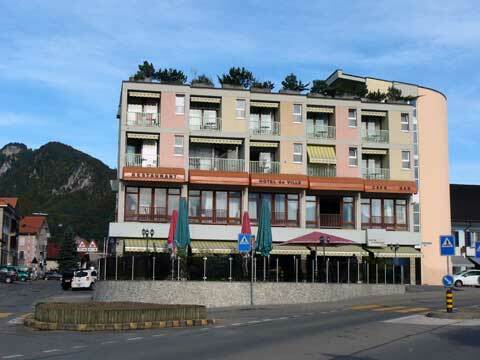 The hotel restaurant provided Swiss cuisine with a lot of local specialities like the fondue but also some international food like pizzas. Their is a large and free public parking near the hotel. In their reviews, guests of the hotel indicate that they liked the kindness of the staff.